Looking For The Best Oboe Reeds For Beginners? Here’s a look at our favorites, including our top pick the – Singin’ Dog Oboe Reed. It’s a well-known fact that the quality of a reed can affect a woodwind instrument’s ease of play, pitch, tone, and dynamic variation. This is especially true with the oboe, and even more so for beginners who are learning to play. Beginners who use a poorly-made reed are prone to develop bad habits that can be very difficult to correct over time. As you shop around for an oboe reed, you’ll notice there are 3 different types: handmade, hand finished, and machine-made. Handmade reeds will always be the best quality, though they can come at a premium. Hand finished reeds are also high quality, and their price point makes them a nice compromise between handmade and machine-made reeds. Machine-made reeds are the most affordable, but they can range drastically in quality, and honestly there are a lot of lemons on the market in this range. I wouldn’t advise you to stay away from machine-made reeds, but I would definitely recommend doing your research before ordering one. Look for established companies that have been around for a while, and lean towards products with plenty of good reviews. 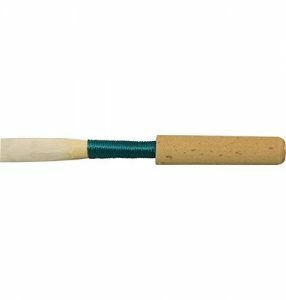 Opening – the opening of a good oboe reed should be football-shaped, or slightly smaller with each corner connected, and each blade of the tip needs to be equal in shape and thickness. An oboe reed with a wider opening will require more air/breath, and will tend to produce a flatter, louder sound. This makes it better in low registers, but it can make it harder to play for beginners. In contrast, an oboe reed with a smaller opening requires less air/breath, and produces a softer, sharper sound. This leads to better performance in high registers, and generally makes the instrument easier for beginners. Vibration – a reed with more vibration tends to perform better in low registers, and has an overall better response. Reeds with less vibration sound better in high registers, and they often provide more focus and stability. There is no right or wrong here—the optimal vibration for you will depend on your skills, style, and the music you play. Response – beginners will want a reed that responds well in all registers. If your reed restricts you to higher or lower registers, it’ll make it difficult to produce the notes you need to hit, you’ll quickly get dizzy from expending too much breath, and your jaw will cramp. Stability – if you have to forcefully bite your reed during play to maintain control, your pitch will suffer, and your cramping jaw will stop you midway through the song. Dynamics – as a beginner, you don’t need to worry about specialized reeds that play best in certain situations. You want a reed that’s easy to play with a wide dynamic range that doesn’t restrict your register and volume control. Tone – again, as a beginner you’re looking for ease of play. You’ll want a reed that can play a good tone and do what you want. It may not sound the greatest at first, but as long as you have control, the tone will improve as you learn and grow with the instrument. Sides – the sides of an oboe reed should be tightly pressed together, the entire length of the reed. If not, you’ll find the reed will be unstable or inconsistent. Blade overlap – a good reed’s blades should be slightly overlapped. It’s kind of like Goldilocks and the 3 bears—not too much, not too little, but just right. If there’s too much overlap, the reed won’t produce as much vibration. If there’s not enough overlap, you may see leaks and loose sides that lead to unstable pitch and tone. Scraping style – American musicians predominantly use North American style (aka long scrape) where the scraping is on the back of the reed. The rest of the world tends to prefer short scrape reeds, which can be more vibrant and flexible. If you’re playing with an orchestra, you’ll want to make sure to match the other oboists’ reed styles as they play differently. 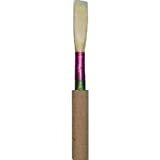 The Singin’ Dog Oboe Reed is a medium-size, handmade reed. It’s the most expensive reed on this list, but it’s indisputably the best quality. The soft and medium-soft strength reeds are perfectly suited for beginners and children, while the medium and medium-hard strength reeds are better for advanced students and adults. They also offer a hard reed for oboists who prefer a reed with more resistance, and for those who plan to scrape the reed themselves for custom adaptation. If you’ve been using a machine-made reed, give this one a try and see the difference in quality for yourself. The Yibuy reed is made from high-grade bamboo, and is the most affordable option on the list. It’s factory-made, but still presents acceptable quality. It’s a good budget-friendly option for first-time players and children. The Jones JR101MS Oboe Reed is hand-finished by master craftsmen who use the music industry’s most advanced machinery. Every reed is tested and adjusted by hand to ensure excellent quality and performance. 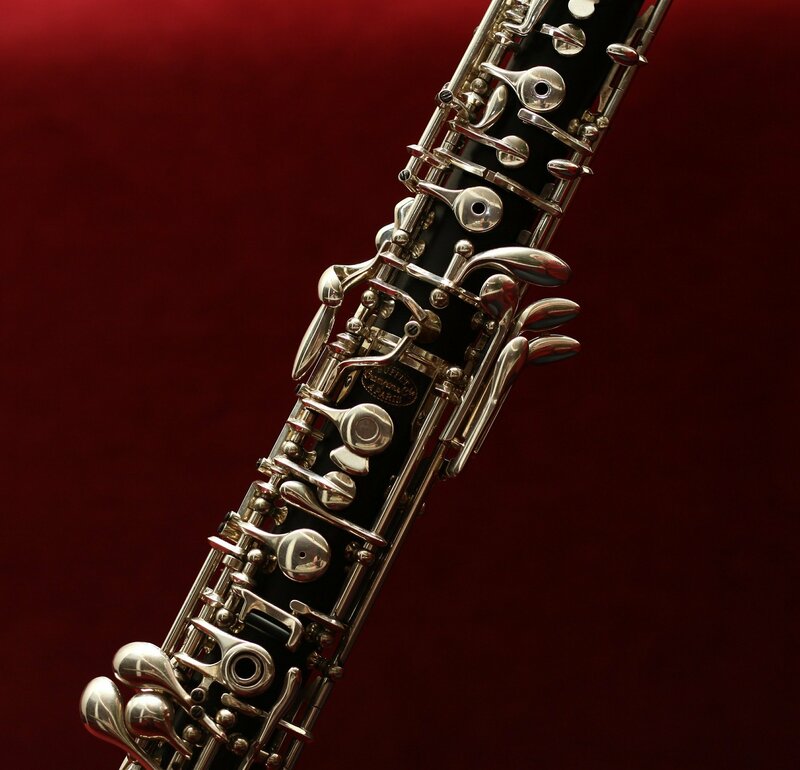 It has a great lifespan, and it will allow a beginning oboist to play the instrument’s entire range with ease. All Richards reeds are handmade and expertly shaped with the finest cane, and given their price they are a fantastic value for handmade quality. They’re tested for pitch A-440, and they use North American / Long Scrape to provide a dark, stable, and centered tone with an even response across the oboe’s entire range. 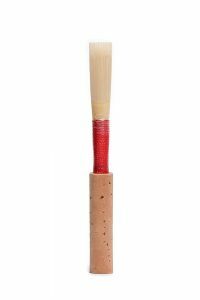 The reed’s shape is engineered to hold the upper register up without biting, and is widely preferred by beginners. The reed’s wire is adjustable, so you can open or close the tip to account for the wood’s seasonal variation due to temperature and humidity. Larry Allen has been hand-making oboe reeds for students for over 40 years, so you can trust his craftsmanship. The Stradella OBOEMS Reed is specifically engineered to provide consistent play over time, making it much easier for beginners to learn the basics without having to worry about variation from the reed. Intermediate and advanced players may want to go with a more technical reed, but it’s perfect for beginners. We talked about a lot of technicalities today, and as a beginner it’s perfectly fine if a lot of the jargon sounds Greek to you. Understanding will come with time, practice, and personal experience. I’d recommend starting with a handmade reed to ensure you start with the best possible foundation. Once you get a feel for the instrument, you can experiment with trying a hand-finished reed and a machine-made reed to see if you can tell the difference. You can do the same thing by trying out long scrape vs short scrape reeds, or by trying different strength reeds to play with the vibration. Just make sure you start with a high-quality reed for a solid foundation, and don’t do too much experimentation until you have a firm grasp of the instrument.